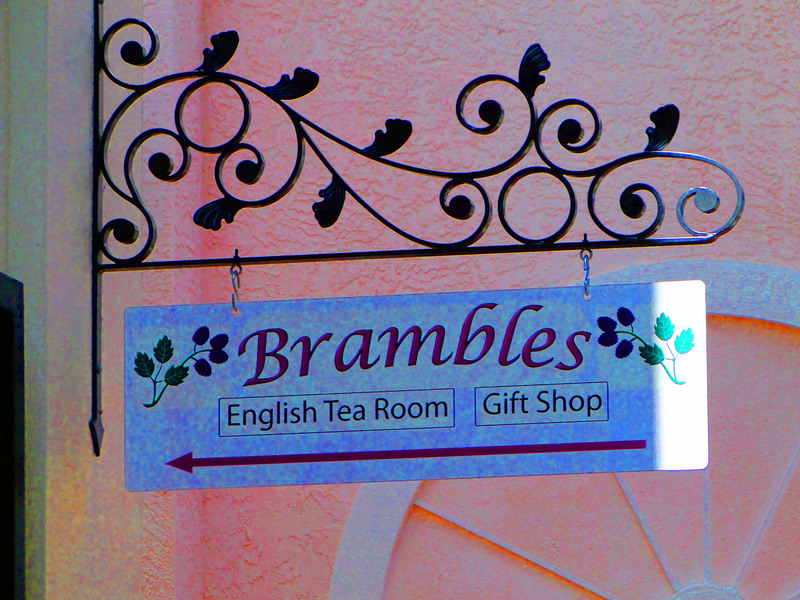 Tucked away in a flower-covered passageway just steps off Naples’ upscale Fifth Avenue, (between English Traditions and Fidelity Bank) Brambles Tea Room and Gift Shop offers an oasis of tranquility in a busy world. Serving lunches and Afternoon Teas in the best English tradition, delicious home-made specials include the signature Quiche served with our Mango Chutney, superb salads, stunning sandwiches and for the heartier appetite, English favourites such as Shepherd’s Pie, Ploughman’s Lunch and Cornish Pasties. Our Afternoon Teas include a selection of finger sandwiches, our famous freshly-baked Scones served with Devon clotted cream and strawberry jam, tea pastries and a pot of tea of your choice. We offer the perfect environment for bridal and baby showers, social club meetings and children’s parties. And when you’ve finished, you can browse in our gift shop, choosing from the range of fine English bone china, cards, delicious hand-made chocolates and other interesting and unique gift items. And, of course, our wonderful range of 40 different teas. We also have ample parking at the rear of Brambles – head west on Fifth Avenue South, turn left at the traffic lights onto Third Street, then left on to Sixth Avenue South, which brings you to the parking lot at the rear of the tearoom. Come visit, and stay awhile!